AN AGONY AUNT letter allegedly written by a man who denies murdering his love rival details the break-down of a relationship that left the man “broken-hearted” and “angry” over finding out his former lover was seeing someone else. The woman at the centre of the love triangle also told the court that the accused man Patrick Quirke stole underwear from her clothes line. Michael Bowman SC for the prosecution read the “Dear Patricia” letter published in the Sunday Independent in February 2011 which the witness, Mary Lowry (52) said she believed was penned by Quirke. The letter stated: “I’ve made a right mess of my life and I need help on how to go forward.” The writer detailed how he started an affair with a family friend after her husband died. He said he fell in love with the woman and their affair lasted for three years until he found out she was seeing someone else. The letter complained that this woman had forgotten about him and he was left “broken-hearted” and “angry” at how well things were working out for her despite her lies, and cheating on him. The letter further stated that he had no closure and was forced to carry this “dark secret” alone. The writer said he still loves his wife but is not “in love” with her and wishes he could transfer his feelings for this other woman to his wife. Lowry told Bowman that she confronted the accused about this letter and he accepted he had written it and told her he had nobody else to turn to. 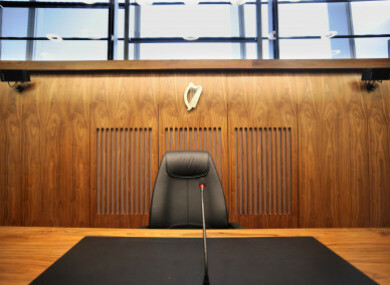 The witness is giving evidence at the Central Criminal Court in the trial of Quirke (50) who denies murdering Lowry’s boyfriend Bobby Ryan (52) – a DJ known as Mr Moonlight – on a date between June 3, 2011 and April 2013. Ryan’s body was found in a run-off tank on a farm at Fawnagowan in Tipperary in late April 2013. The witness further told Bowman that she put up CCTV cameras around her home after a series of break-ins in 2012. In court today, Lowry viewed footage from her home taken on the morning of December 3, 2012 in which she identified the accused arriving in his van and then walking around the porch and shed area of her home and looking through windows. The witness said there was a clothes line with underwear and other items hanging outside the shed and Quirke was also seen standing near a post box shortly after the postman had delivered her mail. After watching the footage in December 2012, Lowry asked her solicitor to write to Quirke to terminate his lease on her land at Fawnagowan. In March the following year she said Quirke agreed to leave by early July 2013 and secured a lease on a neighbouring farm belonging to a woman named Mary Dillon. In April, before the lease had terminated, Lowry noticed a tractor on her land that she had not previously seen which was pulling an agitator for a slurry tank. The following day gardai arrived at the land and a superintendent told her that a body had been found in a run-off tank on her land that she did not previously know about. Mr Quirke was there with his wife Imelda and the witness said she felt that Mrs Quirke seemed “shook” but Quirke “was not perturbed at all”. She left her home that day and has not returned. Under cross-examination Lowry told Bernard Condon SC defending that she told the truth in her evidence and to gardai. She accepted that she did not initially tell gardai about her relationship with Patrick Quirke because, she said, she was ashamed of the “sordid” affair. Condon suggested that in her evidence she had painted the accused in the worst possible light and was settling scores by “putting the boot in”. She denied this and said Quirke was “not very nice to me”. She said she had told the truth from the word go and accused Quirke of manipulating her both during and after their relationship. She rejected a claim by Condon that her late husband Martin Lowry and the accused had been close friends. They worked in the same line of business, she said, but were acquaintances rather than friends. Although Martin had been best man for Patrick Quirke, she pointed out that Patrick Quirke was not best man for Martin. She accepted that she had told gardai in a statement in June 2011 that Quirke was the kind of man who “would have your best interests at heart. I always got on fine with Pat”. She said this was what she thought at the time but she later realised he did not have her best interests at heart. Condon put it to her that she has told the jury that Patrick Quirke assaulted her in her kitchen by pushing her against a table. Counsel questioned how she could tell gardai that Quirke was the type of man who had your best interests at heart in the light of that assault. Condon said this suggested she was either not assaulted or that she lied to gardai. She said Quirke did assault her and that she did not lie to gardai. She also denied having learned off “verbatim” portions of her statement, saying that if parts of her evidence to the jury matched what was said in her statements this was because she was relaying facts. Lowry will continue cross examination tomorrow in front of Justice Eileen Creedon and a jury of six men and six women. Email “Murder trial hears of agony aunt letter and claims of underwear stolen from washing line”. Feedback on “Murder trial hears of agony aunt letter and claims of underwear stolen from washing line”.